Ten years after their classic first outing, Meth & Red have recorded a sequel to Blackout! 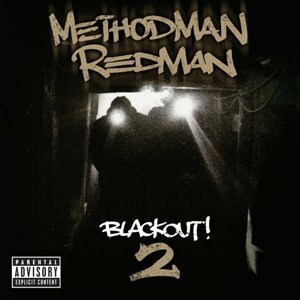 Due on May 19 via Def Jam, Blackout! 2 features the usual suspects. However, unlike so many would-be “sequels” to classic material (including Raekwon’s Only Built 4 Cuban Linx 2…prove me wrong if I’m not right), I’m actually looking forward to this based on the banging leaks that have come out since last fall. Thanks to Nah Right for additional info on the features. This entry was posted in News and tagged Def Jam, Method Man, Redman. Bookmark the permalink.